I can’t believe that it’s been almost 10 years since I lived in England. Time flies! When I lived & worked in Suffolk I took several day trips by train, alone or with a friend. One of them was to Norwich, the capital of the neighbouring county of Norfolk. It was a grey November day. The train ride was pleasant and short. After my friend and I took the map at the train station we proceeded over the bridge and past the canals down the Prince of Wales street which took us directly to the Norwich Castle. I thought that it looked rather unusual. 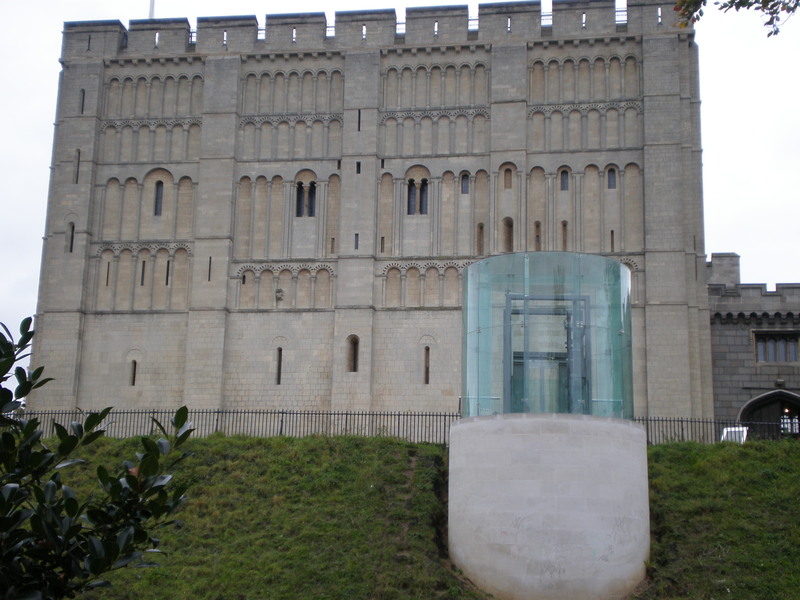 Norwich Castle is actually one of the oldest castles in England. 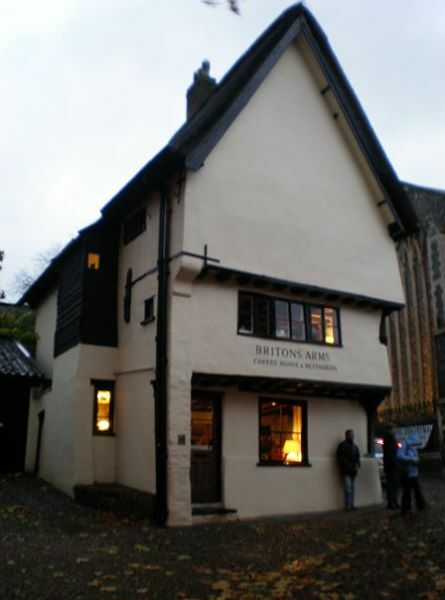 It was built by William II in 1094 and the part which remains today is the splendid box-like Norman keep. The castle is built on a small hill but there’s a modern elevator which takes you up to the entrance. 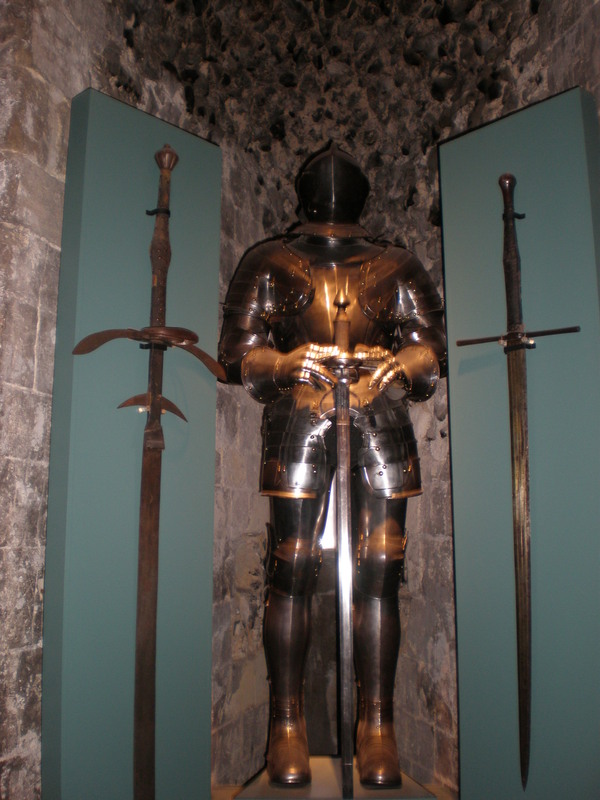 There’s a Museum and an Art Gallery inside the castle. I loved the castle! There were all sorts of things from the Egyptian mummies to teapots and small cats figurines to armours and shields. We saw the part of the castle which once functioned as a prison and we also got to see the castle’s loo. There were also natural history dioramas. We spent quite a lot of time exploring the castle. To find out about the admission prices today click here. After our visit of the castle we went down to the city center. Since I lived in a much smaller town in England I found Norwich to be very busy and crowded. Actually my visit coincided with the day of the Norwich Market hence the crowds. Before we reached the area of the Norwich Market we stumbled upon the beautiful Royal Arcade. It’s a rather grand shopping arcade full of independent shops and fancy eateries. This is where I saw the legendary Colman’s Mustard Shop. Colman’s is the famous English manufacturer of mustard and other sauces from Norfolk and it’s one of the oldest existing food brands. We left the Royal Arcade and found ourselves at a big square with lots of stalls. This is where the Norwich Market is held. The Town Hall is here as well as the old Guildhall. We didn’t go inside the Forum, the big community building where lots of exhibitions and events take place. By this point the rain started to fall so we decided to have a quick lunch and then continue with my sightseeing plan for Norwich. 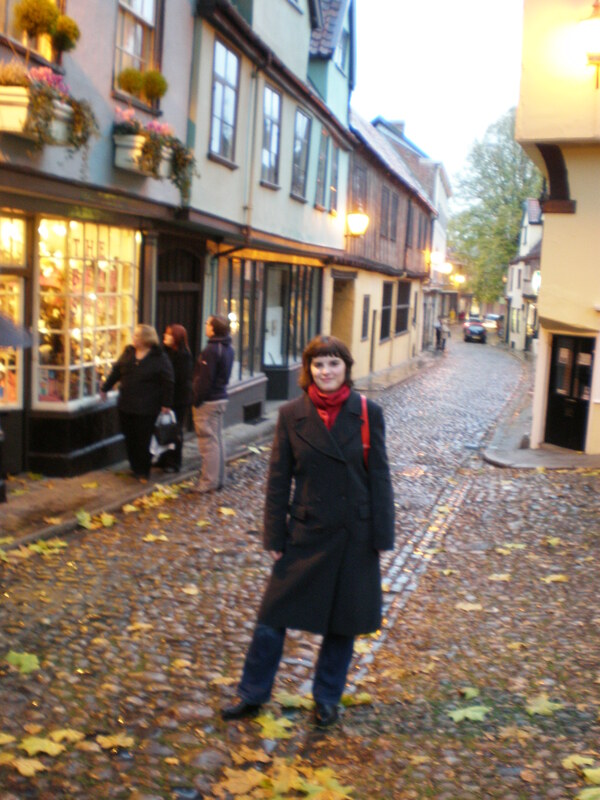 The next item on my to-see list was the Elm Hill which is a rather charming street. It’s a historic cobbled street with a lot of Tudor houses. I was slightly disappointed that it wasn’t longer. Maybe because it was raining and already dark I thought that Norwich didn’t have as many lovely houses as there are in Bury St Edmunds for instance. I guess I kind of expected to be more dazzled by Norwich. Don’t get me wrong, Norwich is a rather pretty English town and I definitely didn’t manage to see all the worthy attractions but it somehow didn’t impress me as much as some other places such as Southwold. However, Elm Hill is a perfectly lovely little street with a very special teddy bear shop. 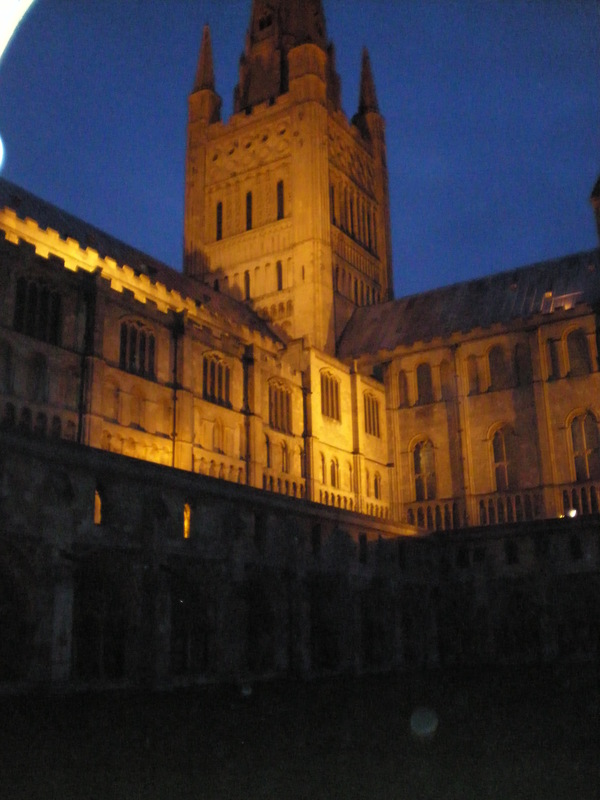 Then it was time to visit the Norwich Cathedral. It was built in the 11th century and and it has the tallest spire (96 m) in England after the Salisbury’s Cathedral. It’s a Norman cathedral and it has a beautiful cloister too. I loved the intricate ceiling and the stonework and it was definitely one of the most beautiful cathedrals I’ve ever visited in England. 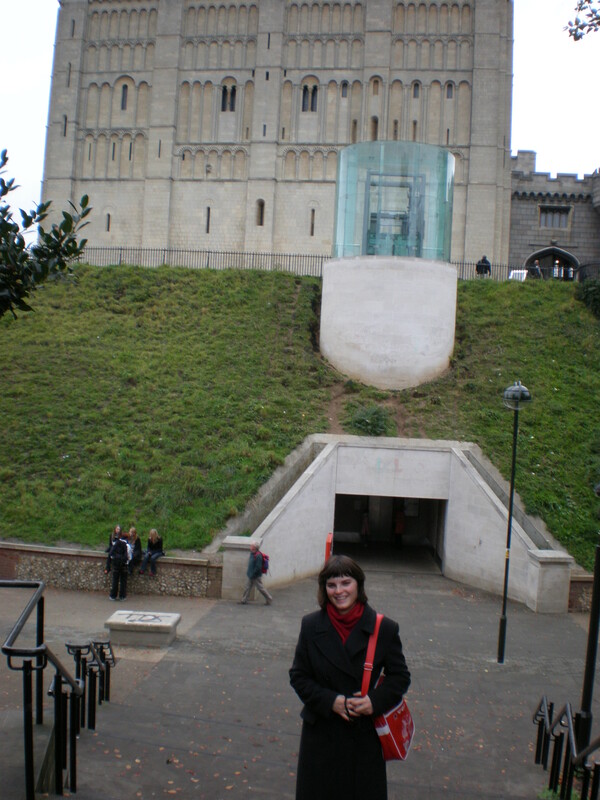 I must say the Norwich Castle and the Norwich Cathedral really impressed me. We walked past a pub and saw a cozy fire inside so we decided to get in and get warm. After a short & relaxing time at the pub we went back to the train station. I noticed a lot of international restaurants and this area of Norwich (Prince of Wales street) reminded me a bit of London. It must be quite nice to spend an evening at one of these restaurants by the canal. But since it was raining we hurried back to our train. 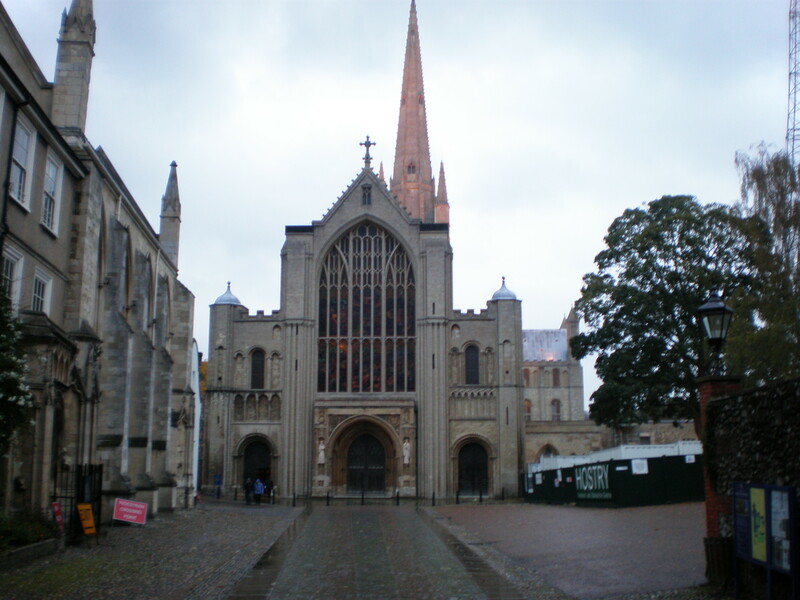 It was an interesting day in Norwich and I thought that I might visit it again in spring but that didn’t happen. Have you been to Norwich? 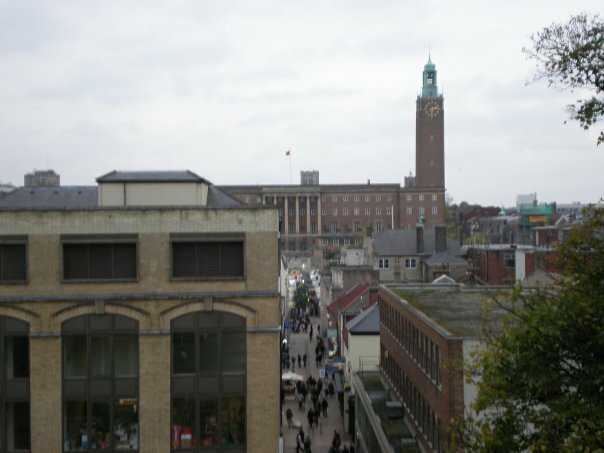 Lived in Norwich for roughly five years, and really loved it! Thanks for bringing back memories. Haven’t been back since 2006. Really should go back. that sounds nice, was there a Christmas market? I have a friend that is from Norwich, he lives here in the States now but I always wonder what kind of city Norwich is. 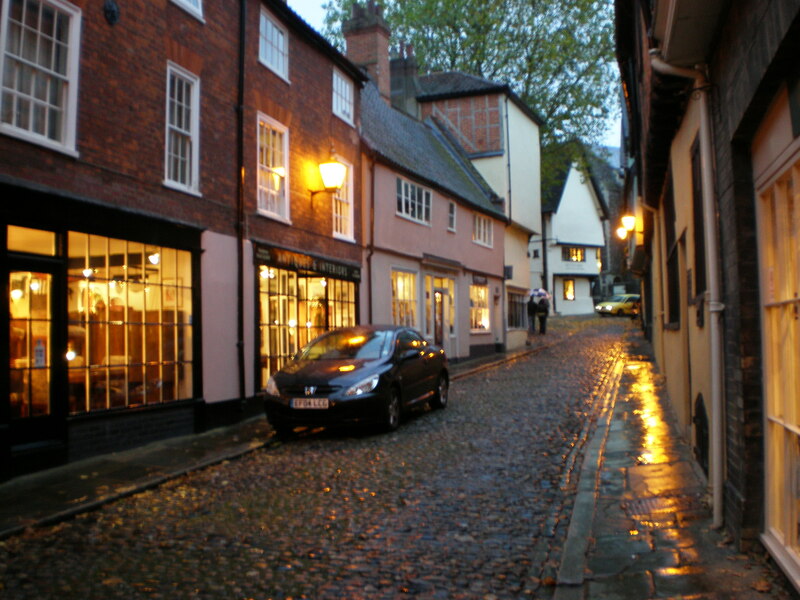 Elm Hill looks like my kind of street, so charming! Norwich looks so pretty! I’d love to visit that cathedral and castle. That dratted rain! Lovely shots, though. Elm Street looks gorgeous. Lovely to revisit as part of #MondayEscapes! Such beautiful town and lovely architecture. It’s been over 10 years since I lived in England, and I miss it so much! Elm Hill street looks so perfect. I had to look on google maps to see where Norwich is located. We have not been to that entire corner of England, but it looks quite charming. Been to Norfolk but never Norwich – good to read about it here!